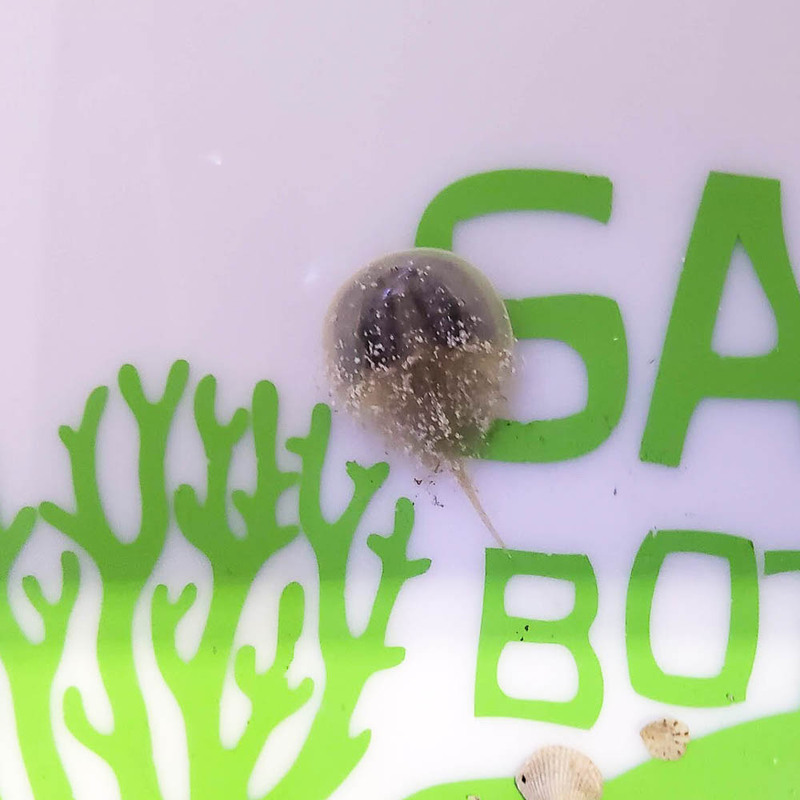 Approximate Purchase Size: 1 1/2" to 3"
Notes: Horseshoe Crabs are a bottom feeding scavenger. They like a well-established deep, fine sand bed with a lot of open space to roam around in. This guy was the reason I placed an order here. When he arrived, he seemed very healthy. When released into my tank, he went straight to the bottom and started digging. 2 days later I found him laying on the bottom of the tank upside down, I flipped him over and he was still alive, but I could tell he wasn't doing well. The next morning he was dead. I'm no beginner and I had my water tested by a local salt water supplier that stated my water conditions were perfect. Wish I knew what happened.